Putting his sand racing skills to good use, Max Anstie raced two strong motos at the Dutch circuit. Starting his weekend with fourth in the Qualifying Race, the young Brit had a good start in the opening MXGP moto to cross the line in third position. Wrapping up the weekend with fourth in moto two, Max collected the points needed to secure third overall at the GP. 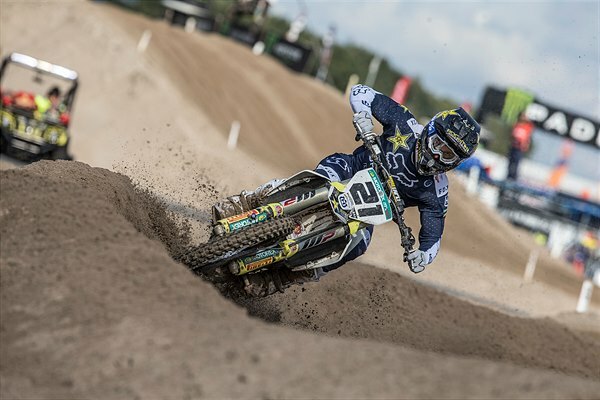 Not getting good starts in either of the two final MXGP class motos, Rockstar Energy Husqvarna Factory Racing rider Gautier Paulin was forced to dig deep in the sand at Assen. Collecting 7-8 results in the two MXGP motos, the Frenchman secured seventh overall at the GP of The Netherlands.